HTC Thunderbolt Kernel Source Released – Ready, Steady….Cook! The Sony Ericsson range of Android Smartphone’s is one of my favourites and the Xperia Play in particular is a fond favourite. Having been given one by Sony Ericsson for a few weeks before to review i fondly remember how much fun and usable the device is. Well, now with the world of modding and community driven developing within Android we have unlocked bootloaders, root, recoveries, custom roms and more. The Xperia Play is no exception and although a more difficult one to crack than many others the popular device has also gained support from the most popular and famous custom rom CyanogenMod with version 7.1. 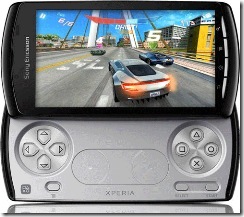 Now the guys over at XperiaGamer – who have just launched their Xperia Play dedicated blog (That I strongly suggest and recommend you all check out regularly!) that is full of news, reviews, videos, mods and more, have put together an install guide and with full details on how to Unlock the Bootloader, Gain Root and Install CyanogenMod 7.1 on the Xperia Play. Here you can find the full Bootloader unlocking and full Root guide – Sony Ericsson Xperia Play Rooting Guide. Here you can find the full guide on downloading and installing the popular CyanogenMod 7.1 onto your Xperia Play – Sony Ericsson Xperia Play CyanogenMod install guide.